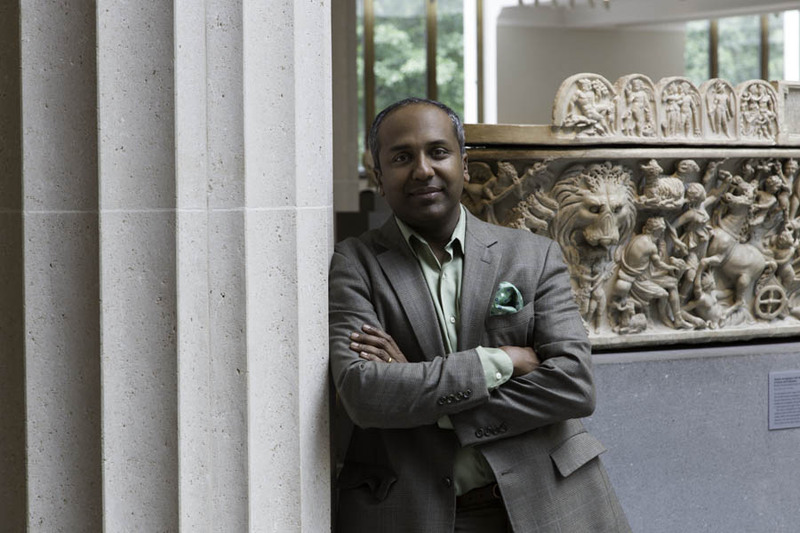 Since his appointment, a lot has happened at the Met, reflecting Sree’s expertise in all things digital, especially social media. The goal of connecting with audiences everywhere is clearly being met. The museum’s digital audience is increasingly globally, with international users up to 36% on the website, 50% on Instagram, 54% on Twitter and 70% on Facebook. On Weibo, one of China’s largest social media networks, the Met had 10 million impressions in 2015. At the close of the fiscal year, the Museum’s Facebook account had more than 1.3 million followers (with a reach of 48.5 million people) and its Twitter feed had 982,000 followers (with tweets receiving 148.5 million impressions). The website had a total of 32 million visits. All this online activity has led to record-breaking visits to the brick-and-mortar museum. In July it was announced that a record 6.3 million people – from the United States and around the world – had visited the museum during the fiscal year. This was the highest visitorship since the Met began tracking admission statistics more than 40 years ago. 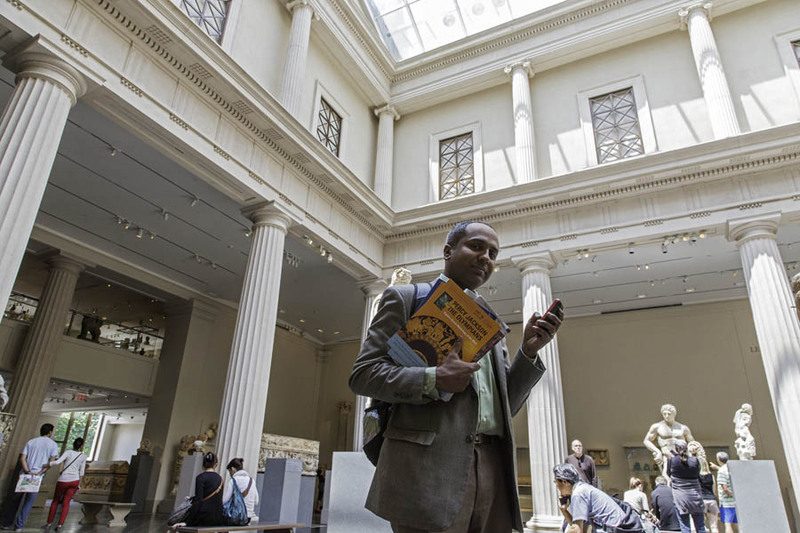 Expanding the commitment to serve all ages, in September of this year, the museum launched #MetKids, a new online feature with multimedia content made for, with and by kids. 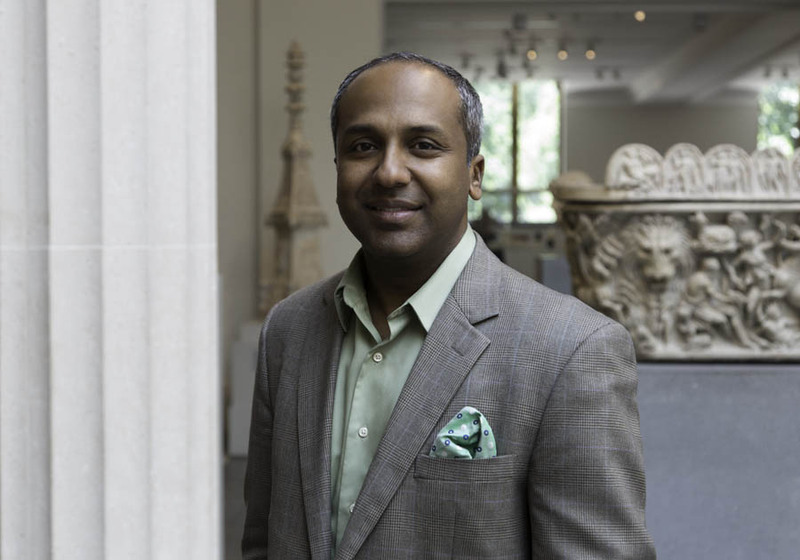 Sree joined the Met after spending 20 years at Columbia University as a member of the faculty of the Columbia Journalism School and a year as the university’s first Chief Digital Officer. As an adjunct professor, he still occasionally teaches at Columbia, where he is fondly remembered by both students and associates. Liz Borod Wright first met Sree when she was a student at Columbia’s Journalism School. Ten years later, she became the adjunct professor for his social media lectures for three years. Liz recalls those years: “Sree’s lectures are so entertaining that students don’t even realize the sheer volume they’re learning until long after it’s ended. His enthusiasm for social media is contagious; it’s impossible to hear him speak and not feel inspired to use social media for whatever your personal and professional goals happen to be. So are they aware now of how prominent their dad is? The “full range” of what he does is impressive: In 2015, he was named to Fast Company’s list of 100 Most Creative People in Business, in part for the work he and the museum are doing on the future of culture. In 2009, he was named one of AdAge‘s 25 media people to follow on Twitter and in 2010 was named one of Poynter’s the 35 most influential people in social media; in 2014, he was named the most influential CDO in the US. He is co-founder of SAJA, the South Asian Journalists Association, a group of more than 1,000 journalists of South Asian origin across the United States and Canada. Today, as a leader in all things digital, Sree retains his love for the printed page and believes that technology can’t completely replace the daily newspaper. He mentions that “in other parts of the world, print newspapers are still strong.” They are also strong in the Sreenivasan household; Sree subscribes to both magazines and newspapers. And as for books, he points out that E-book sales have fallen, but the numbers for print books has risen. Since Sree lives so much of his professional life in the spotlight, was there anything about him that hasn’t been widely discussed? “My first job,” he says. “It was handing out flyers at a pharmacy on 88th and Madison. So many people refused to take them, it got embarrassing. So I resolved that when I got older, I would always take a flyer from anyone who was handing them out. If you walk with me, you will see that I do that.” And if you walk with Sree, you will also see that he is always tweeting about the world around him, always finding something new and interesting to add to the conversation.